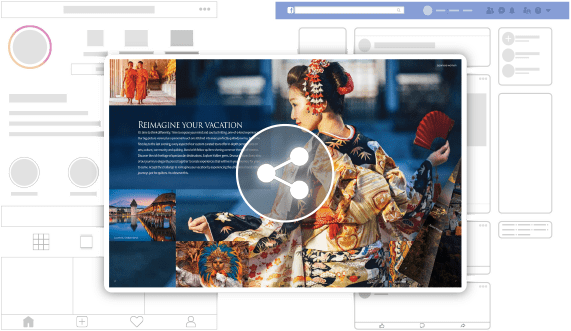 Paperturn’s HTML5 technology means that your flipbook will open instantly and look great in all browsers and devices, regardless of screen size. Read more about responsiveness here. 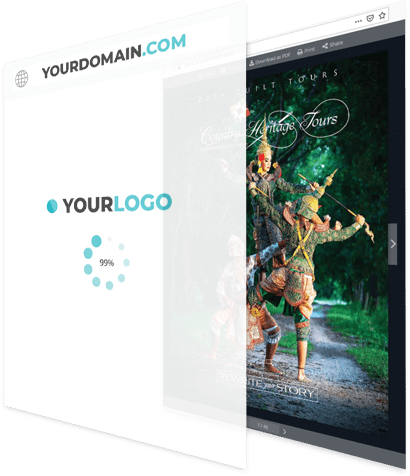 Solidify your branding by adding your company logo and having your own domain name in your flipbook’s URL - making your flipbooks look like they were custom-built. 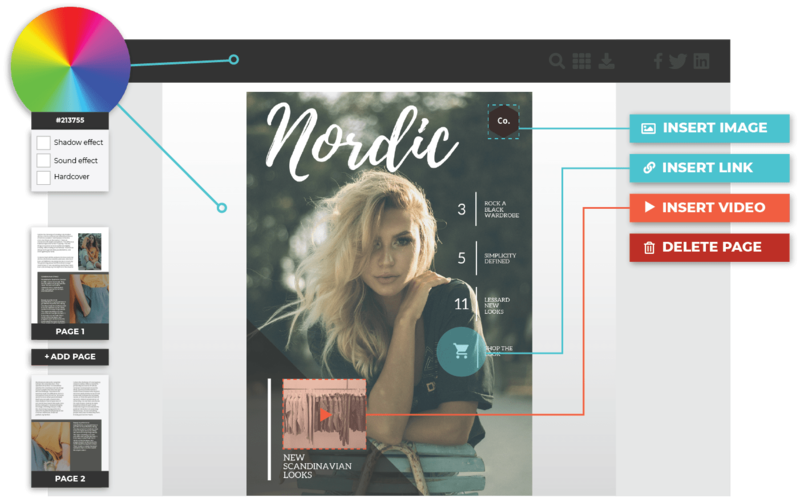 Paperturn’s editor is equipped to help you easily enrich your flipbook with hyperlinks, videos, images and your own colour palette - all in one place. Share your flipbook on social media with just a few clicks to an unlimited amount of viewers. Viewers can instantly open your flipbook without any upload or download time. Read more about sharing on social media. Embed your real, page-fIipping publication directly onto your website with a short piece of code or insert it into your email signature so clients can see your flipbook everytime you send an email. Easily update and make changes to your flipbook, or a page within your flipbook while maintaining the same link you previously shared to your network! An excellent solution for publications that change on a monthly, quarterly or yearly basis. 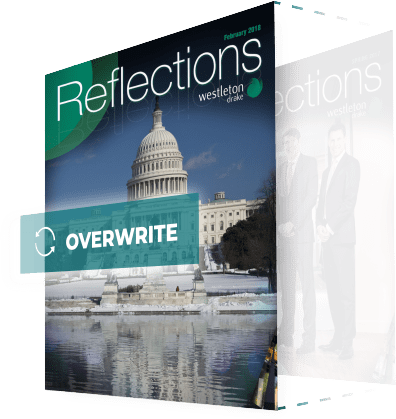 Read more about overwriting your flipbook. Have complete control over your flipbook’s privacy with our privacy options. You can enable or disable the print/share/download or search engine indexing functions. You can also protect your flipbook with a username & password or via IP-whitelisting. 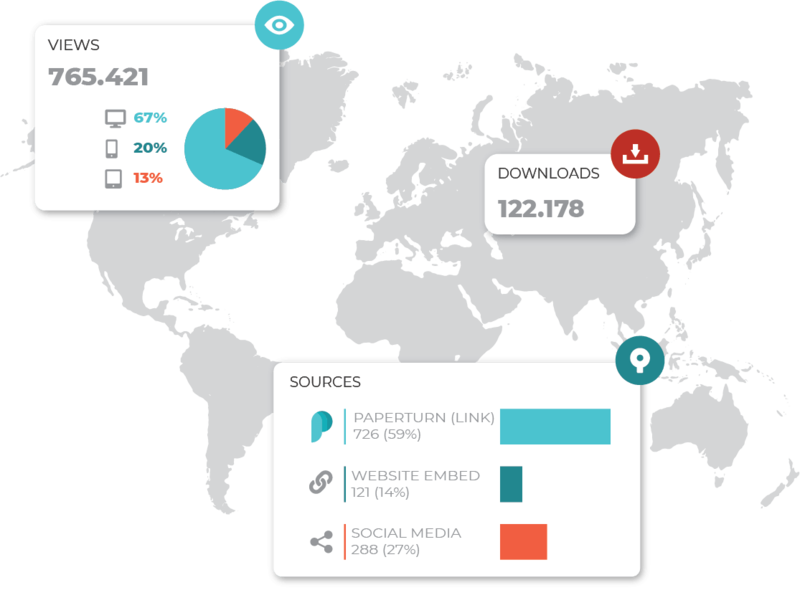 Use Paperturn’s statistics or Google Analytics integration to analyze your flipbook’s performance - giving you the opportunity to objectively measure your marketing investment & adjust your content curation. Learn more about statistics options here. Paperturn’s flipbook system has no page upload limitations and offers you up to 512MB in file size per flipbook. Available in more than 14 languages, the user-friendly viewer is specifically designed to satisfy your international audience’s linguistic needs. By using our search engine optimization (SEO) feature, you can make it easier for Google and other search engines to find your flipbook online - increasing your click-through rate and online traffic. With Paperturn’s search function, it’s easy for your readers to search for words or phrases in your flipbook; satisfying the customers’ “I want it now” attitude and making your flipbooks customer-centric. With the Safari browser, both you and your viewers can save your online flipbooks as favicons to your home screen on Apple iPads and iPhones - for super easy access. 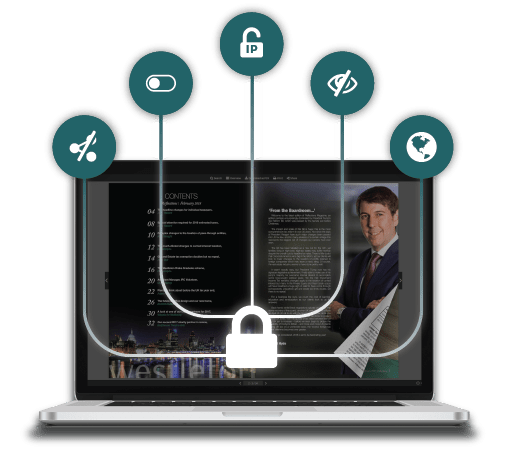 Paperturn’s API gateway feature enables you to search through all your publications directly from your website and always shows your newest publication to your visitors. Create your flipbook now - no strings attached.